We are especially proud of our partnership with Northern Ireland Chest Heart and Stroke. 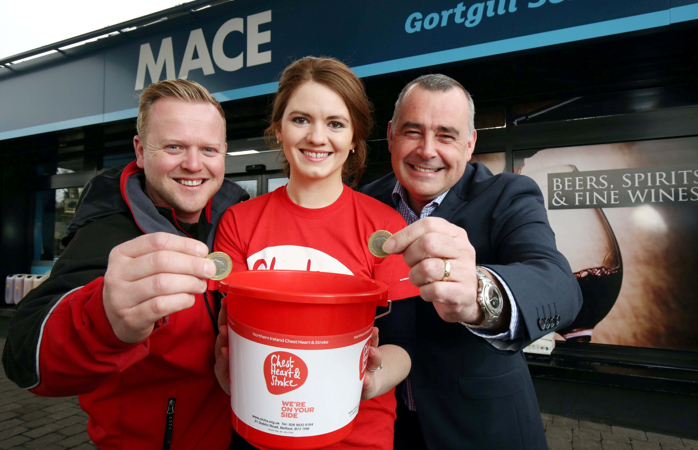 Located in the heart of local communities, MACE stores are ideally placed to support the valuable work of Northern Ireland Chest Heart and Stroke by fundraising and raising awareness. Northern Ireland Chest Heart and Stroke is the leading local charity for care and prevention of chest, heart and stroke illnesses. Everyday 10 people in Northern Ireland will have a heart attack, 12 people will have a stroke and 1 in every 7 deaths will result from respiratory disease. There are over 200,000 people living locally with long term chest, heart and stroke conditions. The statistics speak for themselves, chest, heart and stroke illnesses are a major concern for people living across Northern Ireland. MACE is committed to raising £160,000 over 3 years to enhance the quality of life for 6,500 local people affected by a chest, heart or stroke condition. 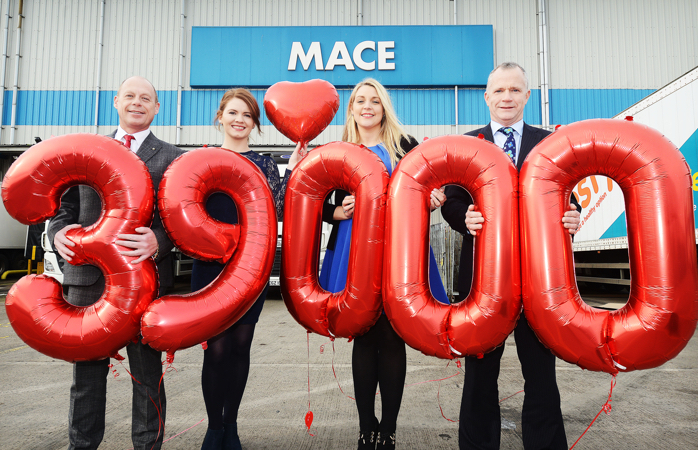 Throughout 2016, enthusiastic MACE staff and customers have embraced the challenge to fund raise for Northern Ireland Chest Heart and Stroke. 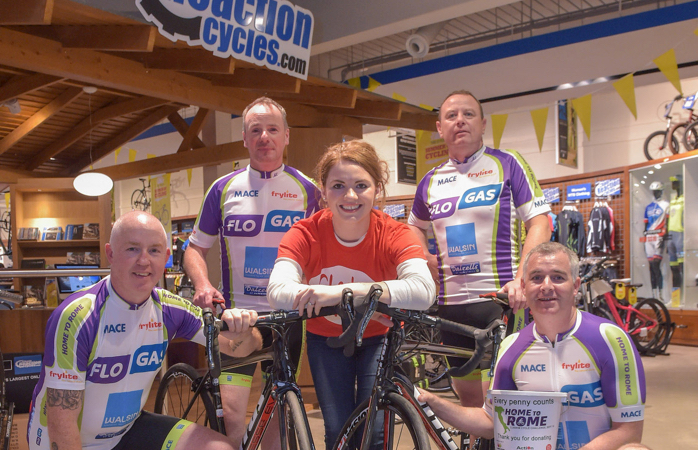 Together, we have cycled for hours in stores, walked miles in the rain, pampered and painted nails in pop up nail bars, dressed up in red or put on our Jolly Jumpers, to collectively raise £39,000 to date. Every penny we raise goes towards funding Northern Ireland Chest Heart and Stroke work in the local community. Together MACE staff and customers are really making a difference to real people in local areas. Thanks to fundraising, Northern Ireland Chest Heart and Stroke are able to continue to offer care programmes for people dealing with chest, heart and stroke conditions, deliver health promotion initiatives in schools and community groups, educate people on prevention and fund valuable research.